Everyone who reads this blog knows that, I am all for skincare first, when it comes to beauty! So when the question of skincare comes into play, I do not compromise there. Kosmoderma, a Hair and skin speciality clinic believes in the same! No compromises. I recently went in to their Lavelle road branch to give a special facial, which they offer, a try. The facial is called Celebrity Photo Facial! Yeah, I know! It sounds fancy and believe me, it is! With multiple steps,therapists and state of the art equipment in play, this facial does make you feel like a celebrity! Let me take you through my experience and what problem areas were put under the spotlight. After filling out a medical history and detail form, the first step was not the consultation, but getting pictures clicked of my face, from all profiles, to pin point the problem areas and their reference.This is called the 3D facial analysis. Next was the consultation, with the doctor. The team of the expert doctors was very warm and patient while hearing out all my problems and, asked what I suffer with mostly when it comes to skin. Since, I was taking the celebrity photo facial, the steps were customized to suit my skins requirements and my problem areas. She also clearly informed me of the steps and precautions I will have to take after the treatment, and what will be the type of upkeep after the Laser treatment. Since, my skin was mostly good apart from a bit of uneven skin tone and a few pimple scars and spots, the doctor decided to give me mild peels. 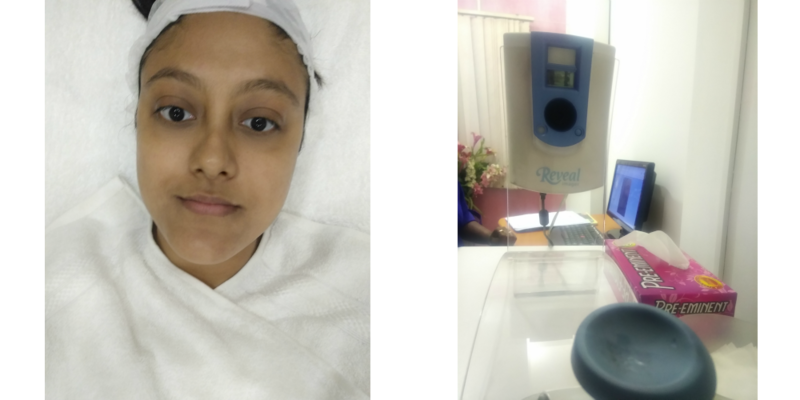 The treatment started with a water jet spray, which is the step to micro exfoliate the skin. It the most fun part! After this your skin does feel great and like it can breathe! After this the peel was applied. I was prescribed an Arganine peel, which is supposed to be quite mild. The type of peel is dependent on the problems that you want to address. After this, a hydration serum was applied, again according to my requirement, and then it was massaged in with a certain device. After this a couple traditional steps of a facial were followed like steaming and extraction of blackheads and whiteheads (ouch! ), massage with a gel. Followed by the laser treatment, which is the most important step of the facial. The laser treatment step is done by the doctors. You are given an eye mask to cover your eyes during the treatment. After the treatment is over, a rubber mask is applied and left on for about 20 minutes. The removal of the mask, followed by application of moisturiser, marks the end of the facial. By this time, I could feel a huge difference to the way my skin felt. You will have to maintain the skin routine and follow the doctor’s instructions for a couple days. Don’t get this done just before going on a vacation to a sunny place! You will have to stay away from the sun for three following days, since the skin remains sensitive after laser treatment. I can vouch for that. 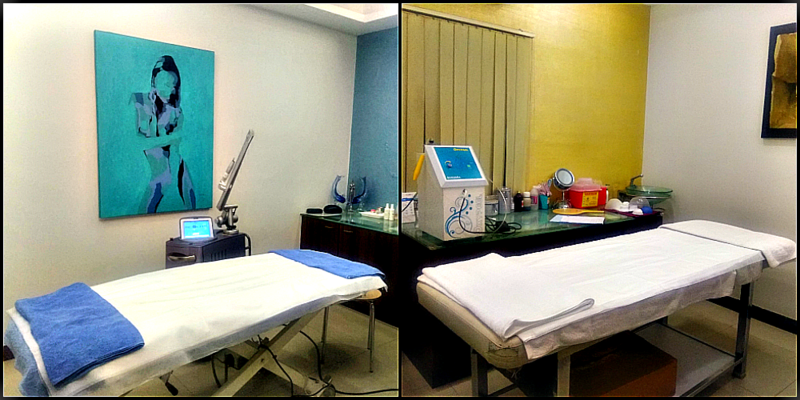 You skin will have a bit of redness, immediately after the laser, but will subside within a few hours. It has been a couple weeks, I have followed the doctor’s instructions and I really like the results. My skin does feel like it can breathe properly and the glow on my face is visible! 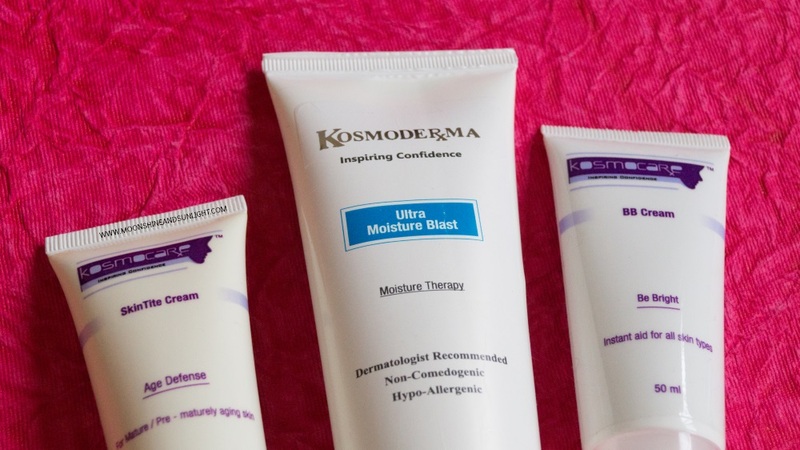 The pigmentation and the spots have reduces just a little bit, it requires multiple visits for the facial to Kosmoderma to completely get rid of the spots. If you have watched my Instagram stories, then you’d know my regime. In case you have any questions, shoot me a mail at priyanjanamns@gmail.com or DM on my Instagram, Twitter or Facebook Page! I will definitely address as much as I can! The price of the Facial is 13,800 plus taxes and I think you should go for it, if you want to address a lot of problems and see immediate results. 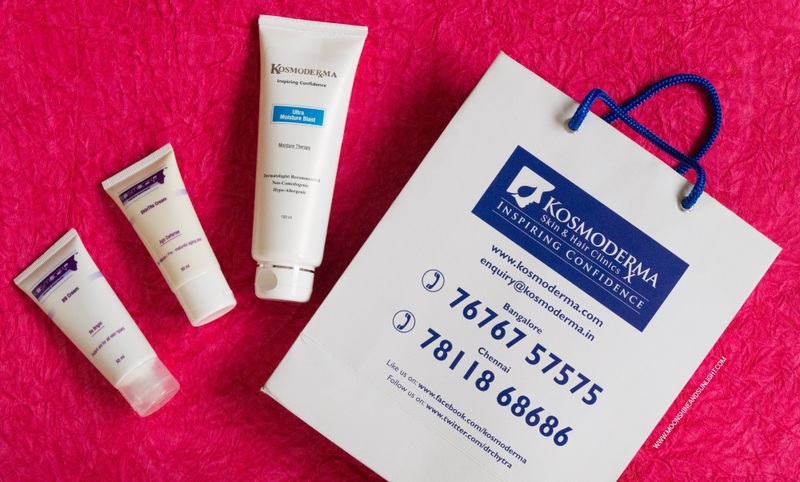 The facial is not only for women, Kosmoderma caters to men as well. Let me know what you think about this! I would love to know if you would try the laser treatment!? Great article, resonated with me from start to finish!